Serving in a war zone changes everyone . . .
And, returning home can be even more challenging. 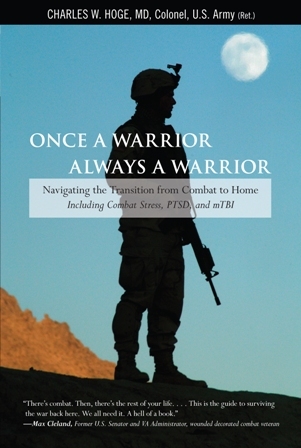 In this ground-breaking book, Dr. Charles Hoge explains how transitioning home from combat requires learning how to dial up or down the warrior responses, depending on the circumstances. What medical professionals label as symptoms are, in fact, valuable combat survival skills, skills that may also be useful in civilian life. Once a Warrior — Always a Warrior explains how a warrior’s knowledge and skills are vital for living at peace in an insane world.